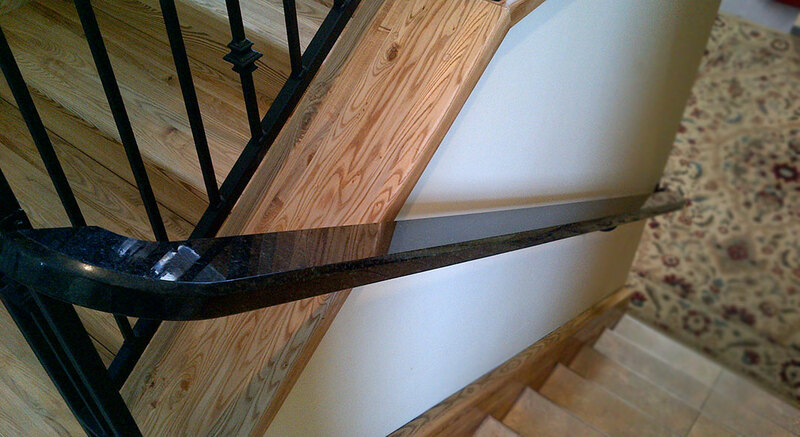 This is one-of-a-kind curved Black Pearl granite hand rail, crafted by Paul by special request for a newly designed iron banister that was originally finished with ¾” iron. 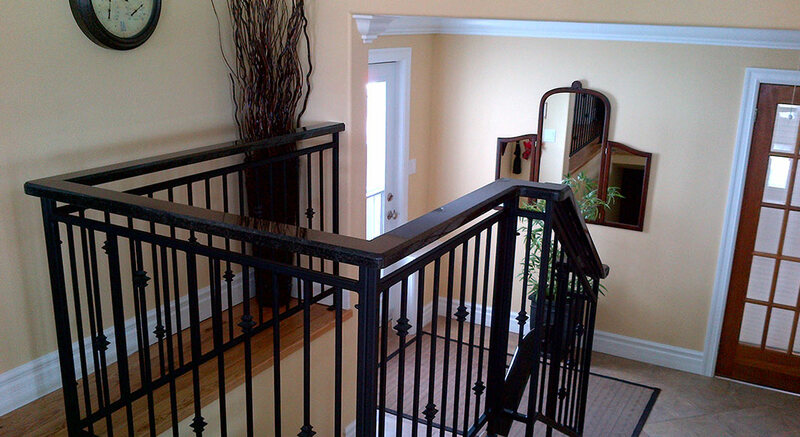 The homeowners wanted a unique and substantial finishing piece to their newly renovated home. Paul hand polished the seams in place, creating a flawless “curved” granite effect. The Bevel edge profile was built for comfort and design! 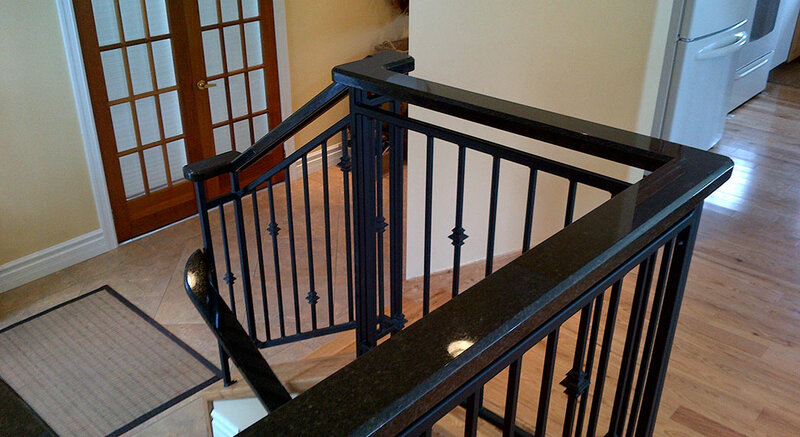 This project is a true example of the calibre of custom granite work from Paul’s years of hands-on experience.